Blogtown: A Weekend Protest For Venice - No Chains On Ocean Front Walk! 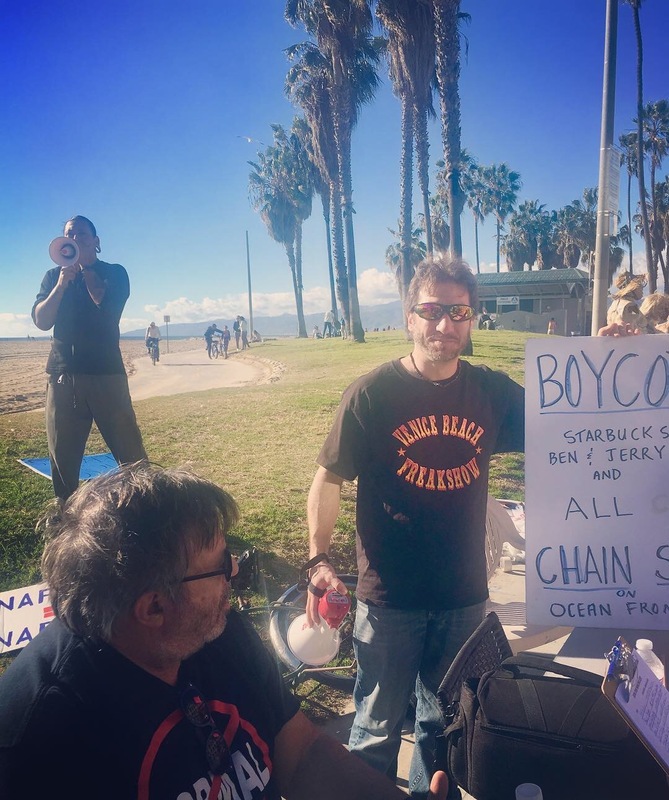 A Weekend Protest For Venice - No Chains On Ocean Front Walk! 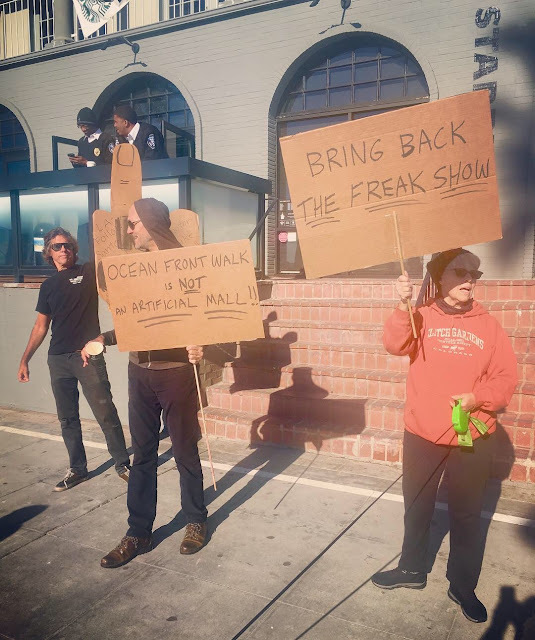 There was a second protest this past Saturday on Ocean Front Walk to oppose the opening of an awful Starbuck's on our Venice Boardwalk in the space left vacant by the evicted Venice Freak Show - the ultimate slap in the face to Venice and its unique history. A first protest happened early this year, but it was raining all day (and I was out of town) so the turnout wasn't what was hoped for, so another was planned ... and frankly, we should be protesting this b.s. every day anyway. This time it was bright, sunny, clear skied, and brisk after a week of rain left everything in bold Technicolor once again. Locals gathered on Ocean Front Walk in front of the dreaded Starbuck's, carrying signs and bullhorns and generally heckling anyone who would climb the steps up to the neighborhood-wrecking symbol of gentrification with shouts of "NOOOOO!" "DON'T DO IT!!!!" "JUST SAY NO!!!!" "BRING BACK THE FREAK SHOW!" "NO CHAINS IN VENICE!" and other chants with that general sentiment. Whether they went inside or not, now they know. You can kind of forgive tourists (kind of) for not knowing, but honestly, what tourist comes to the Venice Boardwalk to go to Starbuck's? 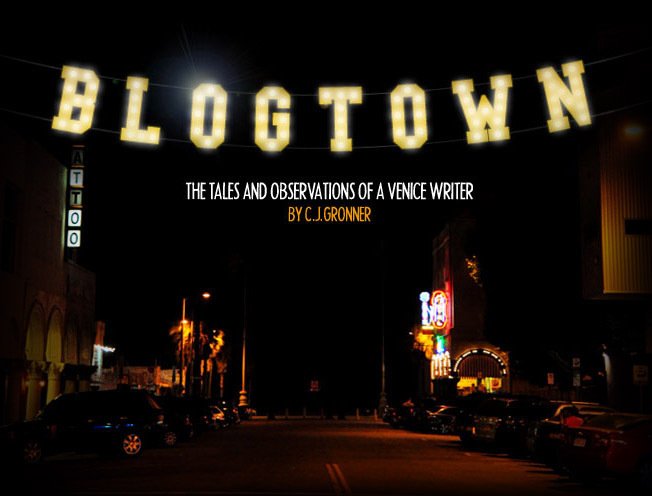 Every town - even lame ones - have that jive ... travel is supposed to open your world up to NEW experiences, places, and people ... not repeat the same homogenized behavior as the suburban dwellers that brought this scourge on society to prominence. Venice is for ONE OF A KIND places. Venice has always been about LOCAL business, Mom and Pops. Families bring their kids to Venice (for free, the day after Disneyland) to see something out there, something memorable ... and I promise you, that is not yet another Starbuck's. Guards were posted up outside of the blight on our community, for no real need. 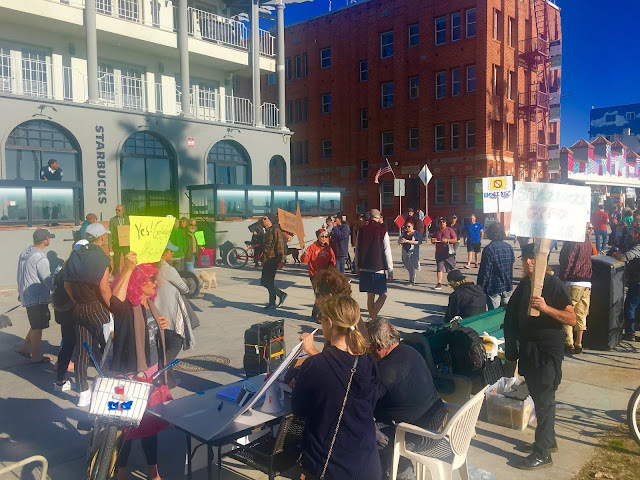 Venice Dogz and concerned members of our changing community are a peaceful bunch, and it got no crazier than bullhorned messages being transformed to the passersby - who heard loudly and clearly that Venice is not just going to sit back and accept this greedy, gentrifying money grab. Now, I've always liked Ben & Jerry's ice cream, but I'll never go to one of their franchise stores on the Boardwalk - RIGHT NEXT to Charly Temmel's ice cream! The NERVE!!!! Whose idea was it to open up a chain directly next to an original, one of a kind ice cream parlor that has been there for decades?! It's so rude and mean, I can't believe the groovy hippie guys from Vermont ever really thought this through. I've never seen anyone sitting outside of there with ice cream, so hopefully everyone knows to go to Charly Temmel when in Venice ... but STILL. The audacity. I hear a lot of people say things like "Oh, Venice is over" and "Umm .. I think it's too late for Venice" and that kind of thing, and it's almost always from someone who threw in the towel on Venice, left, probably misess it a lot. and it makes them feel better to dis the place that we're all still trying to preserve - at great cost and sacrifice. I shrug, let them think that, and go out to join my friends and neighbors in a peaceful protest to let everyone know we're not happy about it - and they're gonna hear about it, whether they like it or not. 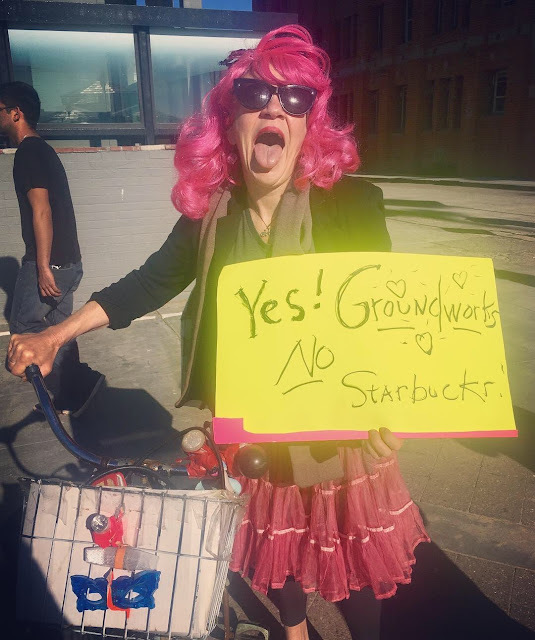 The hope is that maybe some other giant corporation will think twice about opening up here in Venice, where they are not welcome by anyone other than greedy landlords and New Venice people who just don't get it - and probably never will. So, scoff all you want, I don't care. I love Venice, and I'll be arm in arm in solidarity with any and everyone who feels the same and is willing to stand up for it. 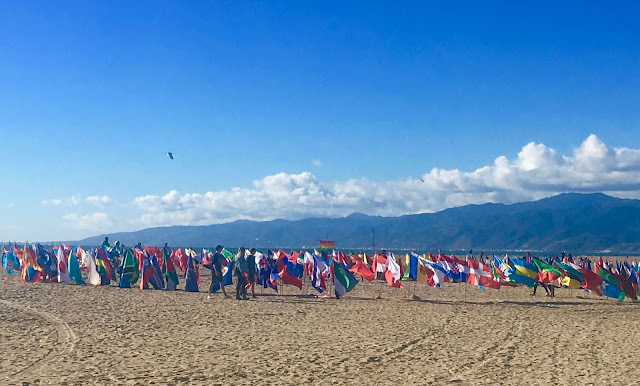 To stand together and loudly proclaim: NO CHAINS ON OCEAN FRONT WALK!! !